NetEnt (formerly known as Net Entertainment) has been trying to make gaming more interactive and interesting. They have been doing so by releasing new games, but also by coming up with a whole new marketing tool. That marketing tool is called NetEnt Engage. It’s an in-game feature which can be made available for all of their slots and it has a lot to offer. And when I say a lot, I mean a lot! NetEnt Engage has made it possible for players to collect real-time rewards while playing their favourite games, to use a whole bunch of game enhancing technical features and to participate in different kinds of challenges. First things first. 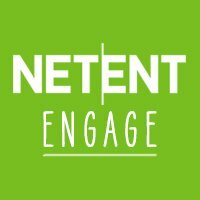 If you want to enjoy the advantages that this marketing tool has to offer, you will have to play at an online casino that has integrated NetEnt Engage into their platform. Log into your account at one of those casinos and then open one of their available NetEnt slots. There you will find two different buttons in the bottom-right corner, including the ‘full screen’ button and the one that shows a little lightning bolt. Now click on the lightning bolt. The NetEnt Engage menu will pop up and there you will find all available options of the aforementioned in-game marketing tool. There is a remarkable amount of information shown on that little bar. On the left you will find the available events, the middle shows your win history and on the right there are several interesting statistics which may be of use to you. Those statistics appear under ‘real-time session’ and it includes three different numbers. The first time is the amount of spins you’ve played, which speaks for itself. The second one is the return to player and the third one is the hit frequency. And those are some pretty exclusive numbers! The return to player is the RTP that people like to talk about. It’s kind of the same thing as a ‘return on investment’ and it will show you how much you won in comparison to your total amount of bets. For example, if you bet 1,000 euros and you get a total of 900 euros of game-wins, then the RTP of this gaming session stands at 90%. Or if you win 2,000 euros then your RTP ends up at 200%. The theoretical return to player for most NetEnt slots is around 96-97%, but you will find that it is different for every player during ever playing session. Because otherwise it wouldn’t be much of a gamble! The hit frequency is something very different from the RTP. It will show you how often you get a winning game round, which is not necessarily related to your winnings. For example, getting a minuscule win during every spin will give you a 100% hit frequency, while you might still be losing. At the same time, one single hit on a high variance game like Dead or Alive might give you an extremely low hit frequency and a very high return to player. But wait, there’s more! In addition to those useful statistics, you can also find some extremely fun promotions in the NetEnt Engage menu. First of all, you might be able to win some serious rewards while you are playing your favourite videoslot. This tool will make it possible to meet the requirements of different types of challenges. One example could be to collect a total of one hundred expanding wilds on Starburst. And once you have done so, you will automatically receive the prize that goes along with it. This could be 10 free rounds on another NetEnt slot. But it can also be something completely different, as it will be up to the casino to decide which challenges become available for you as a player. Speaking of which, online casinos can also use the NetEnt Engage tool to make certain promotions more fun. Another thing they can do is add certain rules to a promotional offer with free spins. Wouldn´t you like to get some extra free rounds when your initial try wasn´t very successful? Or how about a free round widget wheel that pops up into your screen? It’s always nice to get something extra and it gets even better when a casino provides you with a fun and interactive gaming experience. Just for the record, the idea of this in-game marketing tool isn’t completely new. There are also other developers of online casino games that are using this approach. Examples are Yggdrasil Gaming and Quickspin, although their systems aren’t nearly as sophisticated as the one that is used by Net Entertainment.